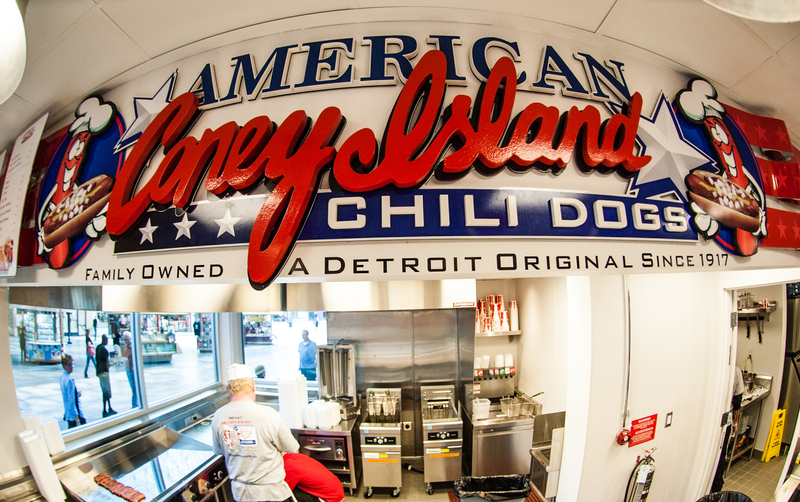 American Coney Island has been a Detroit institution since 1917. It's one of those Greek owned hot dog joints that has been serving a spiced hamburger sauce, called Coney Island Sauce, on hot dogs for a long time. If you go to Detroit, and you want a hot dog, this is the place to have it. 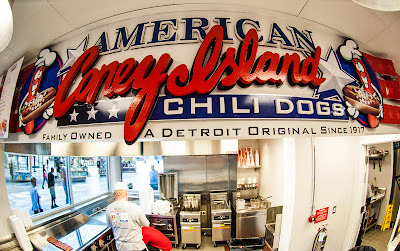 I have visited American Coney Island in Detroit, many years ago, in an "unofficial" capacity. In January, I'll be visiting the American Coney Island Las Vegas location for Hot Dog Stories! American Coney Island is the next 3rd generation hot dog joint to take its act "on the road" and bring some old school, hot dog flavor to a melting pot city. They opened up a Vegas location recently. Las Vegas is a tourist town that allows people to experience cultural phenomena from all aspects of life: the hot dog is no different! Since I will be in Las Vegas, speaking at Affiliate Summit West, from January 12-15, I decided to plan a visit to American Coney Island to do a Hot Dog Story. 3rd Generation owner Grace Keros gave me a call and rolled out the red carpet for the Hotdogman! I will be visiting the location and "doing my thing" there in a few weeks.